Some of you may be familiar with a major problem in Wii homebrew land. Most applications and games found on wiibrew.org use libogc, which in turn relies on IOS. While most IOS versions have a USB module, it is limited to USB1, and its I/O throughput make some applications next to unusable when using USB mass storage devices, others have annoyingly long loading times. The Wii game “Your Shape” changed this ? it introduced a new IOS version: 58, and this is the first with an official USB2 module. Starting with the System Menu 4.3 update, IOS58 is available to every Wii. Thanks to ? ?some serious work by tueidj, all homebrew applications can now utilize this USB2 module through libogc. The Homebrew Channel v1.0.8 is the first version supporting it. IOS58 will be automatically installed when you update your Wii to System Menu 4.3. If you do not want to update, you can use Tantric’s clean IOS58 Installer. 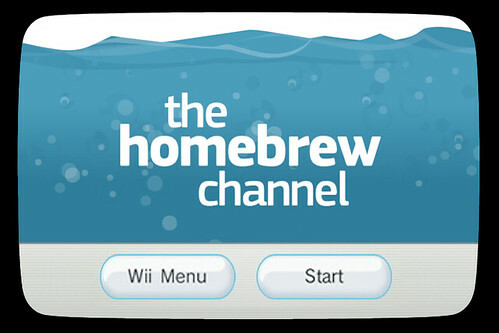 ・IOS58 is chosen for The Homebrew Channel when installed. This is required for USB2 support. Other IOS versions are of course still supported, but USB will be limited to version 1. ・Fixed the freeze when using the autoboot feature to load System Menu with a delay of zero. ・The NAND backup no longer crashes when stumbling on uncorrectable pages. ・A couple of fixes to the integrated SD browser. ・The autoboot feature is ignored when launching the IOS version of BootMii. ・General USB improvements for all IOS versions, this fixes the regression introduced in version 1.0.7. ・ USB2 support through IOS58. A note about unofficial IOS versions: There have been IOS hacks for USB2 support for a long time now. Those rip the USB1 module out of an IOS, and replace it with a USB2 module. You may not care about the uglyness of this approach, the code quality of the replacing modules, or the risks associated with replacing a vanilla IOS. But some coders (us included) do, and outright refuse to use it. On top of that, those nasty hacks are mostly used for warez loaders. IOS58 relieves us of that burden. The AHBPROT feature, which we described one year ago, allows you to bypass IOS to access devices directly from the PPC, eliminating the need for any IOS patches. Starting now, we will remove all cIOS poisoned applications from the wiibrew.org wiki. Either grab the new installer here, or use the HBC online update (a confirmation dialog should pop up when launching an older version of HBC).